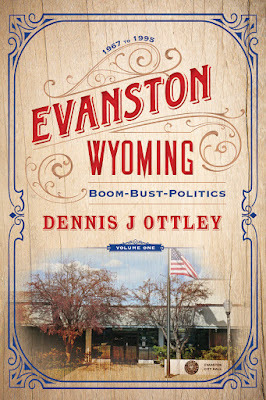 Izzard Ink Publishing is proud to announce "Evanston Wyoming: Boom—Bust—Politics," by Dennis Ottley, available in stores and online today. "Evanston Wyoming: Boom—Bust—Politics," is a story about an old Union Pacific railroad tent city, once called "Hell on Wheels," that eventually grew to become an amazing community in southwestern Wyoming, and about one man's experience as a city official. Evanston survived and thrived through many boom and bust cycles by having a good strong base of loving, committed citizens. Told through the eyes of a city official who served Evanston as a three-term city council member and a three-term mayor, and meticulously documented using city council minutes, Mayor Ottley shows how this role affected his life and family, and the hell he went through trying to keep the community together through one of the most challenging boom periods in Wyoming history. The book gives a full account of the best and worst of politics in a small town, and how untruths, innuendos, partisan politics, and right-down vicious lies came close to splitting the city. But this mayor, who was dedicated to the people and driven by his love for his community, was able to keep the economy strong and the community united. 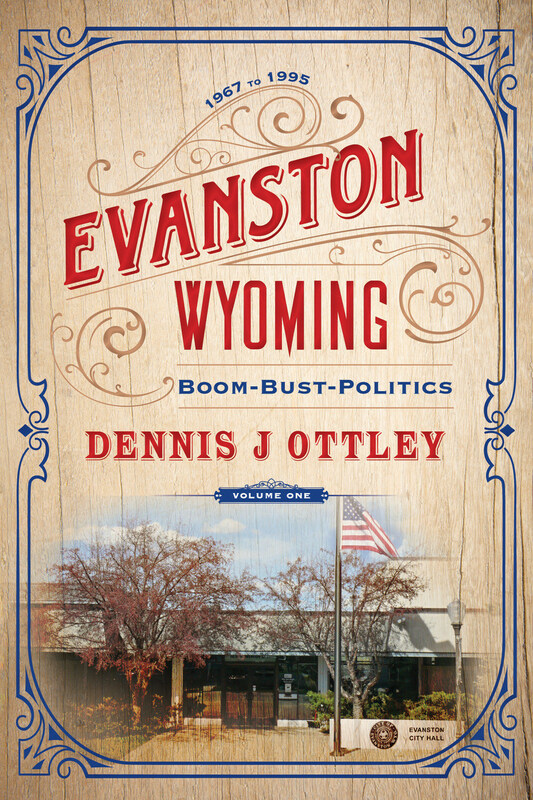 "Evanston Wyoming: Boom—Bust—Politics," will be of particular interest to readers who are familiar with Evanston and curious about its history. But it also tells a more universal story about politics in small-town America, and how a tight-knit community can survive hard economic times to thrive and prosper once again. Dennis Ottley was born in 1932 in Salt Lake City, Utah. After quitting high school, while living in Evanston, he joined the Wyoming National Guard, and was called to active duty in the Korean War. Before he left, he married his wife Sandy. When he returned from Korea he was discharged from the army and they then settled in Evanston, where Dennis served three terms on the city council and three terms as mayor. After more than 68 years of marriage, raising four sons there, he and his wife Sandy still reside in Evanston.